Exclusive UK distributor for Adams, Haute Decor, Drymate, Magic Mounts. Welcome to Anglo American Distributors. Anglo American are based in the UK. We are exclusive UK and European distributors for:- Adams Mfg. Corp. USA, Haute Decor USA, Drymate USA, Magic Mounts USA. Our customers are mainly Garden Centres, General Stores and Online sellers. 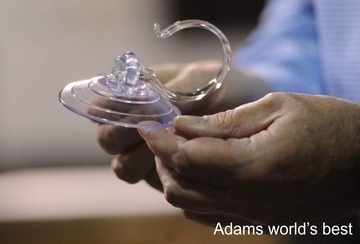 Adams USA Manufacture everything 100% in the USA. Their Christmas decorating accessories are the world's safest and best performing products. Our range includes suction cups with hooks, wreath hooks and hangers, gutter hooks, stocking hangers, light clips, garland ties, light stakes, light cable storage winders and much more. Haute Decor USA manufacture the "Original Haute Decor Mantel Clip" which is safer than heavyweight mantel top fittings. Their large range of high quality products includes mantel clips, stocking scrolls, candy cane stocking holders and garland ties. Drymate USA manufacture a range of highly absorbent surface mats for many uses including Christmas Tree mats and Gas Grill Mats. Magic Mounts USA manufacture a range of removable self adhesive hooks and fixings for Christmas decorating.